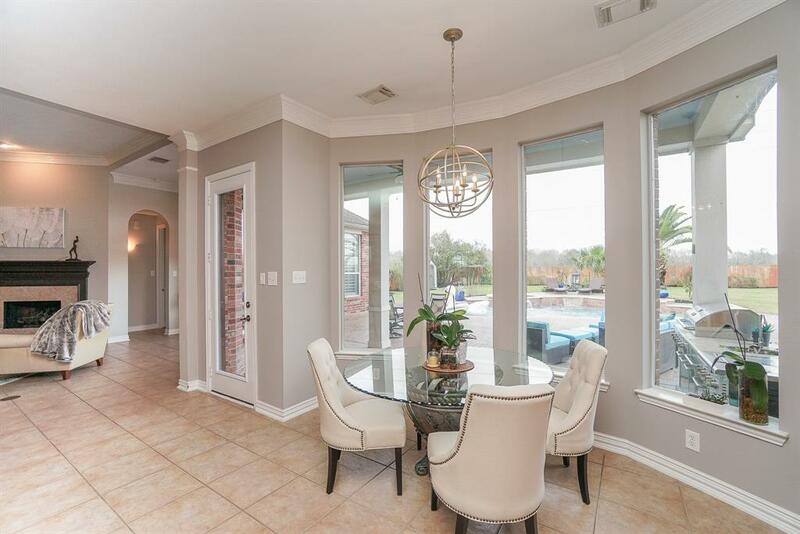 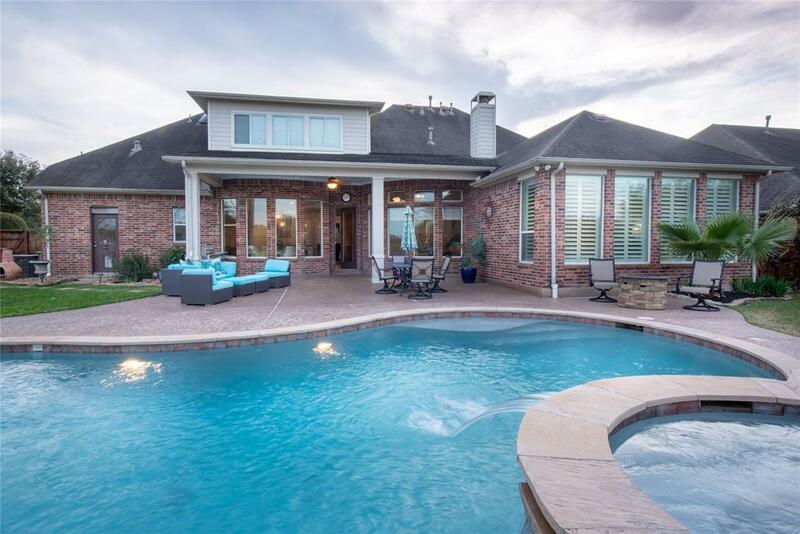 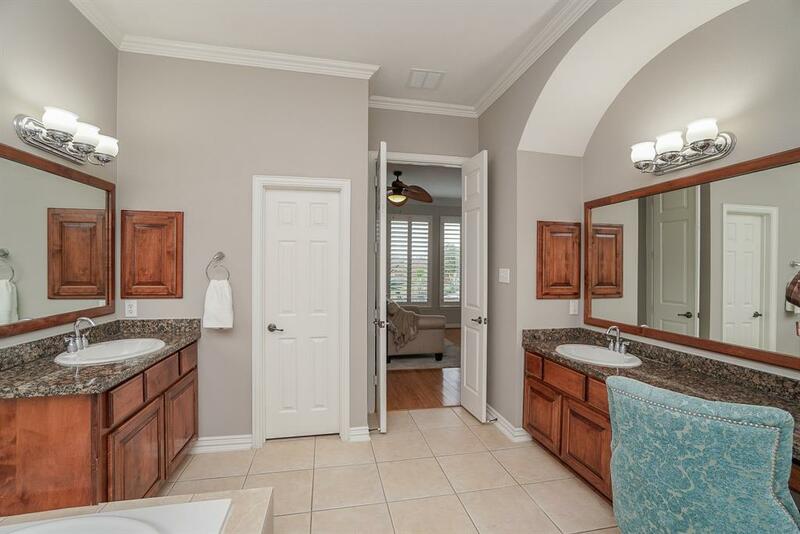 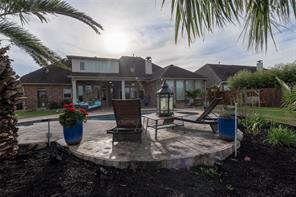 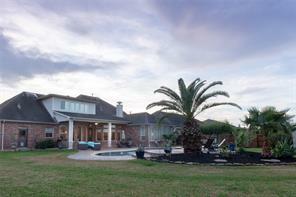 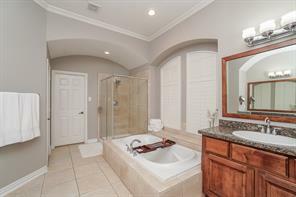 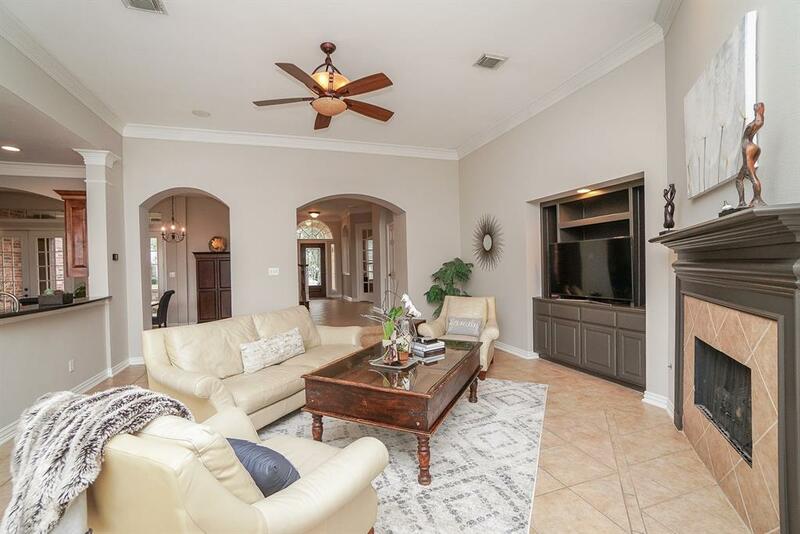 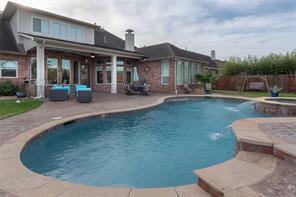 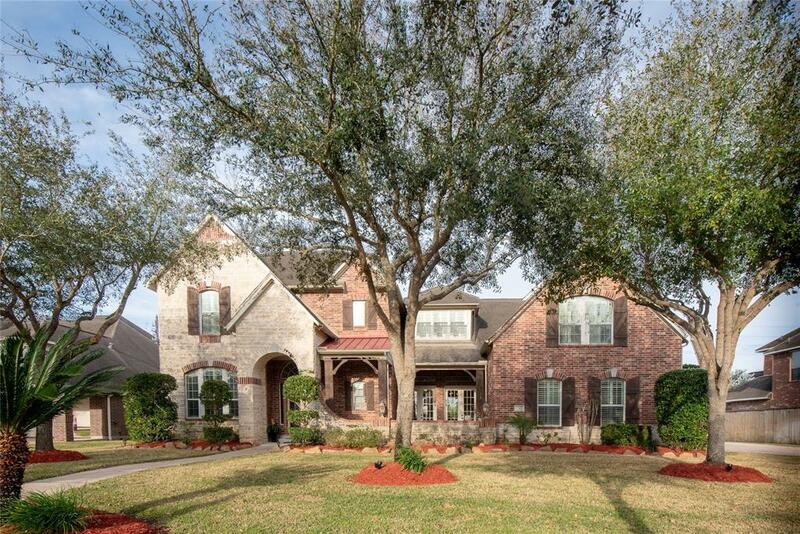 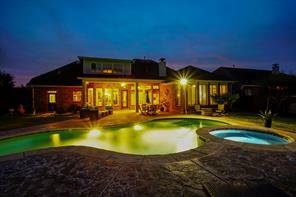 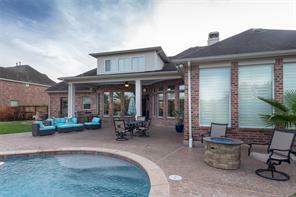 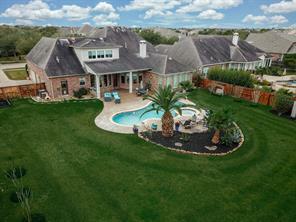 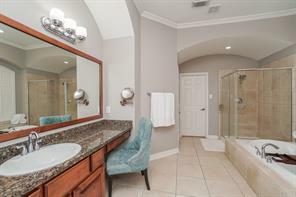 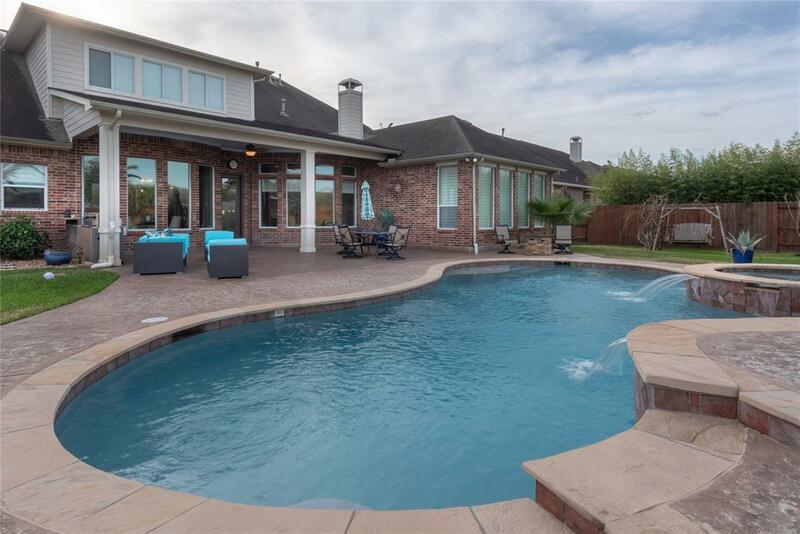 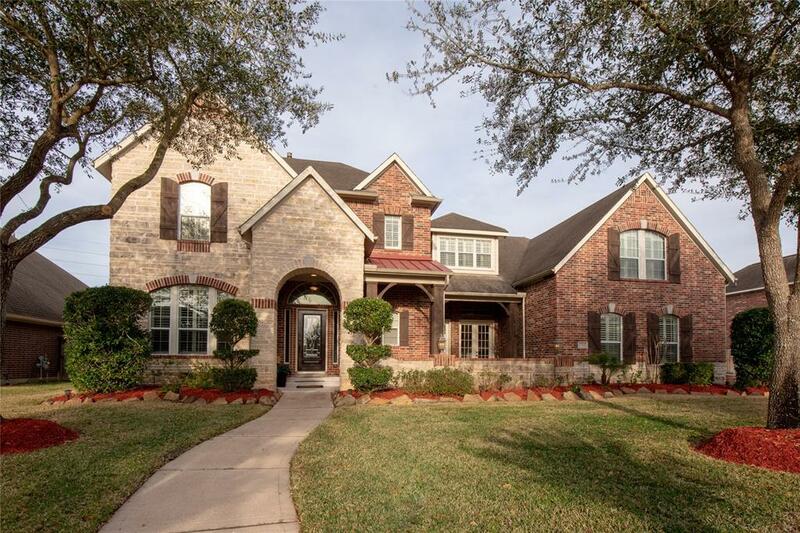 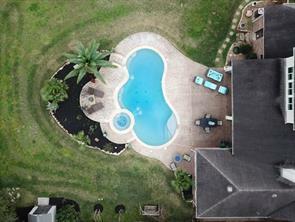 This Immaculate, Bright and Open Home w/sparkling pool & spa. 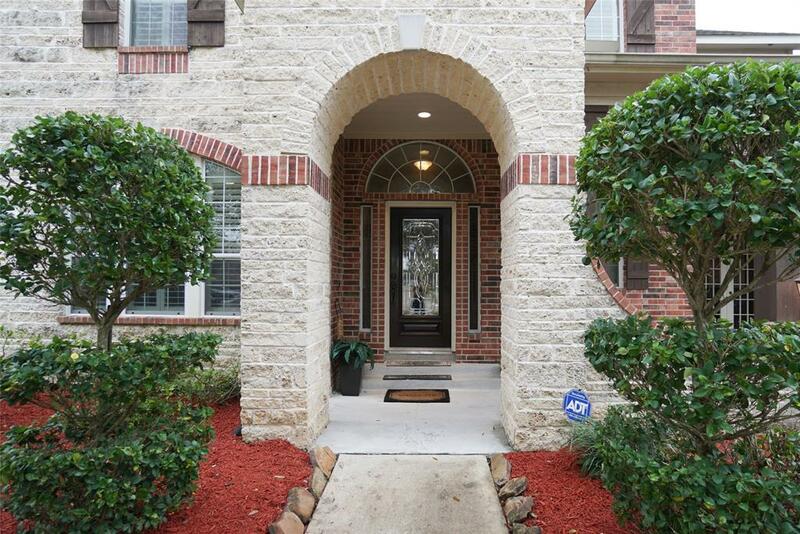 Excellent curb appeal, courtyard & covered entry. 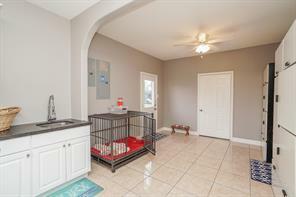 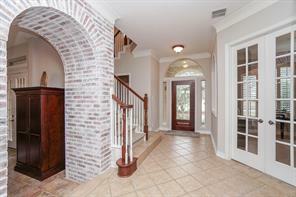 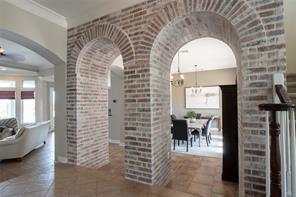 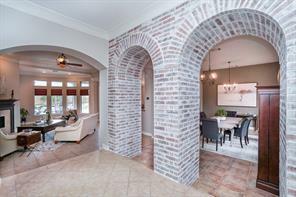 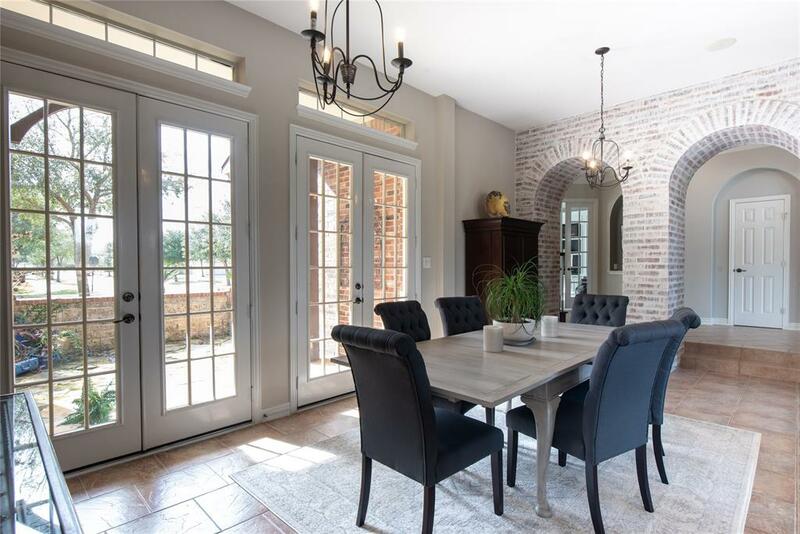 Foyer with diagonal tile, exposed brick archways & crown molding thru-out. 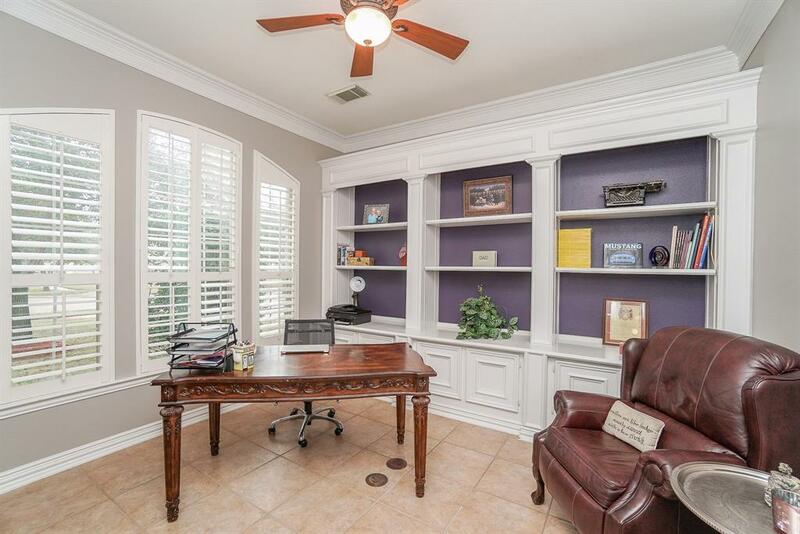 Study with French doors, built-in shelves, plantation shutters. 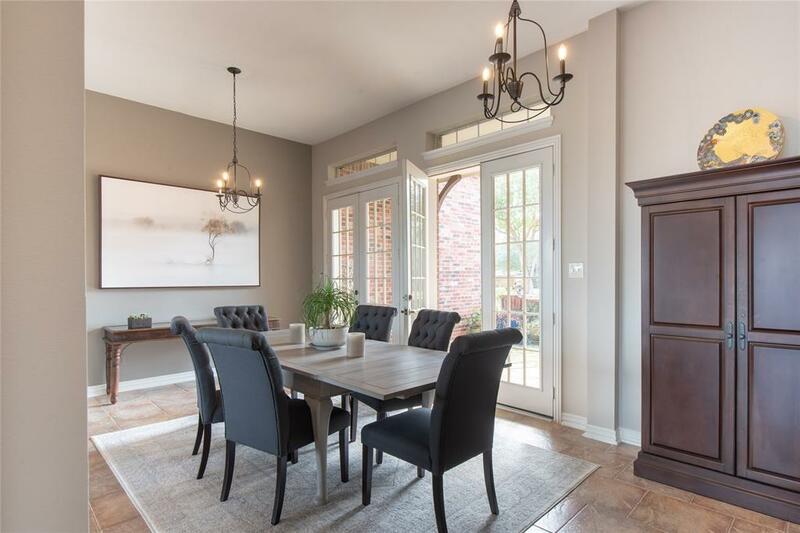 Dining has 2 sets of French doors leading to courtyard & fountain. 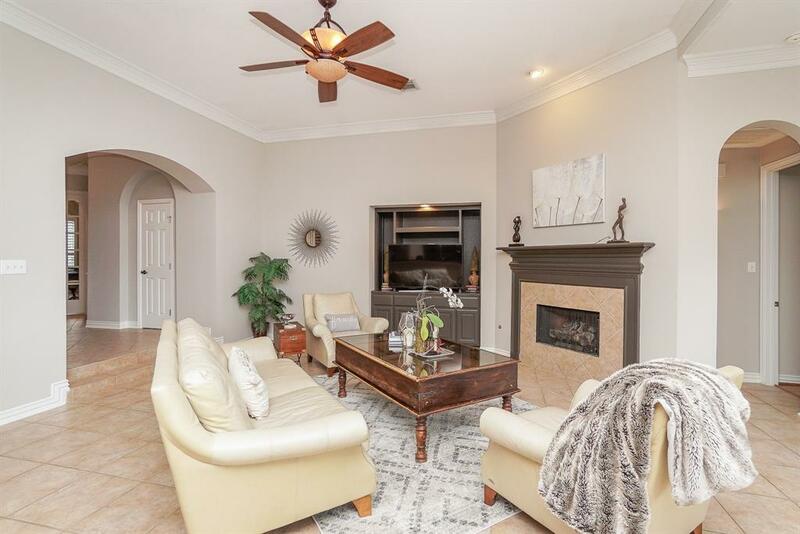 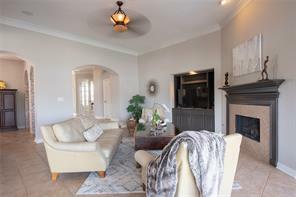 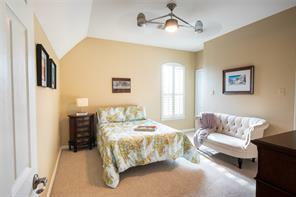 Family room with built-in entertainment center & gas log fireplace. 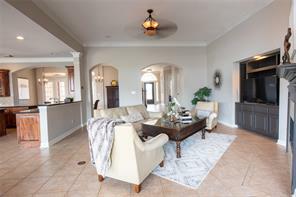 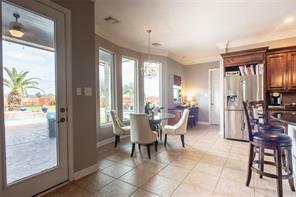 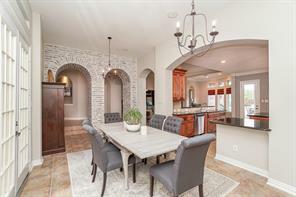 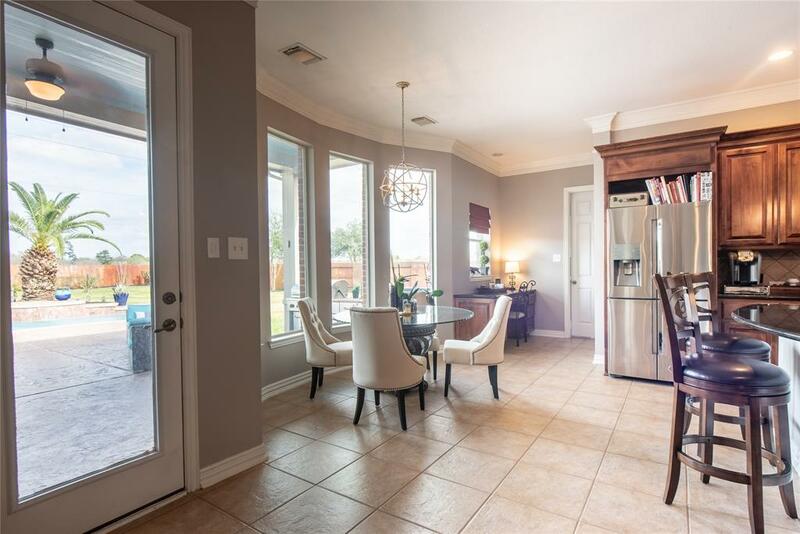 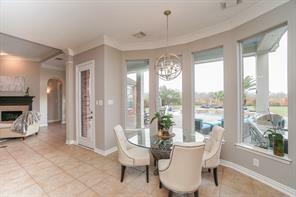 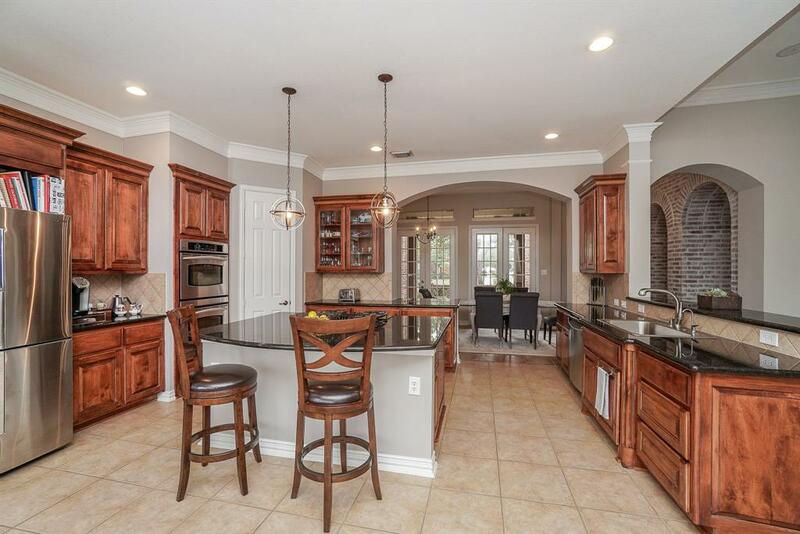 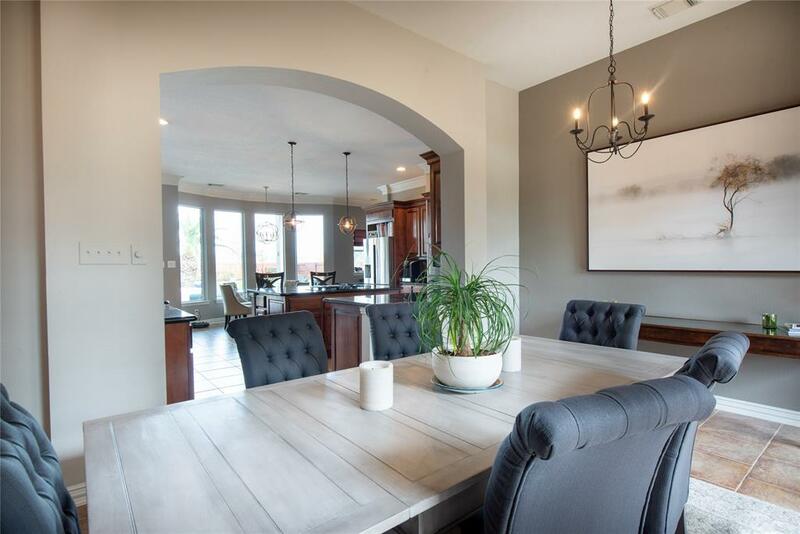 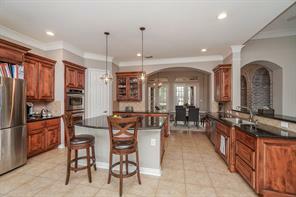 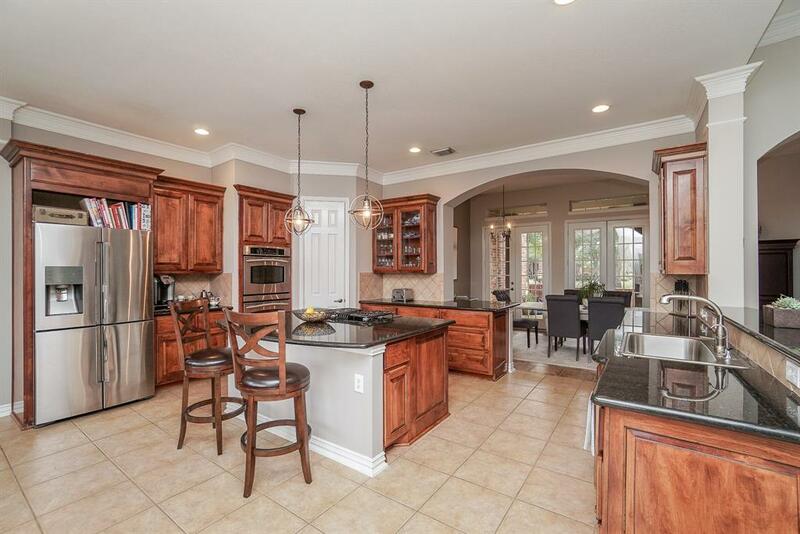 Large Island kitchen w/stainless steel appliances, granite counters, double ovens, gas stove, breakfast nook & desk. 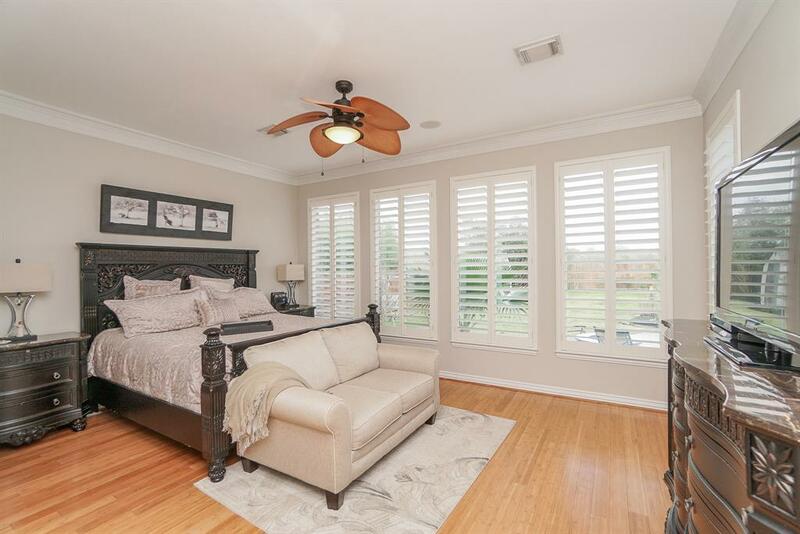 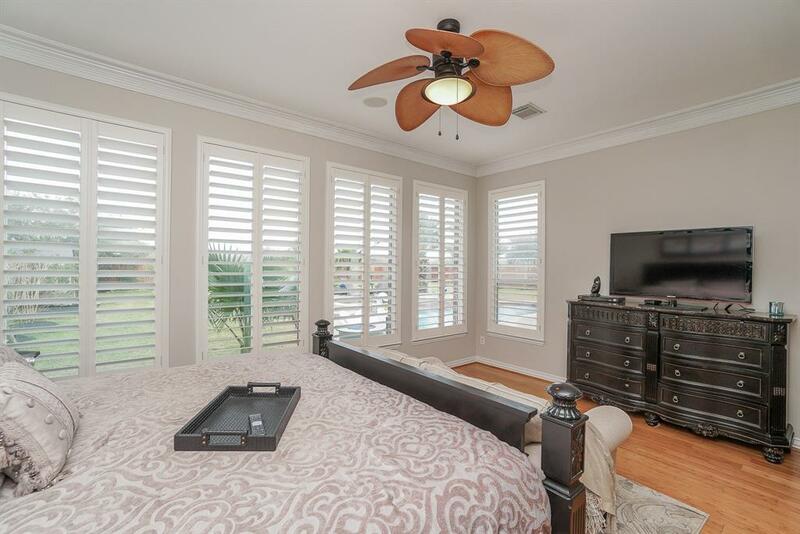 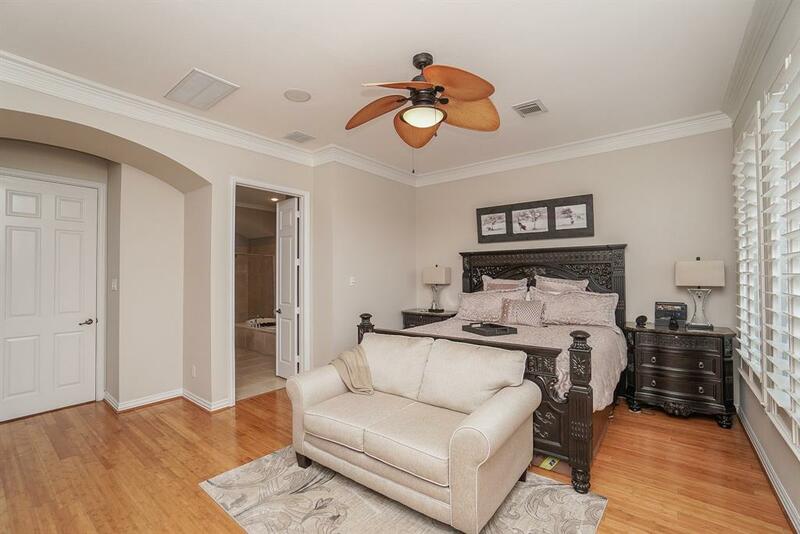 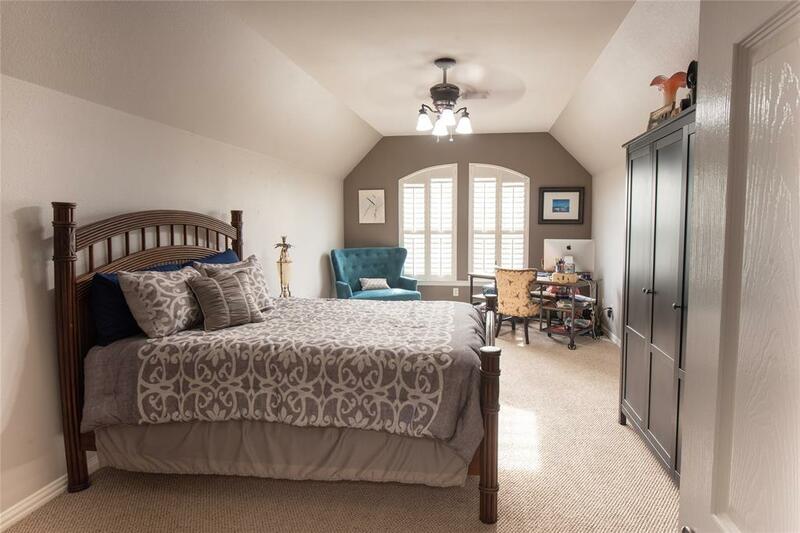 Master suite boasts plantation shutters, bamboo wood floors, large master bath, & a HUGE DREAM walk-in closet with built-in custom storage. 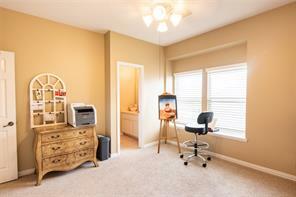 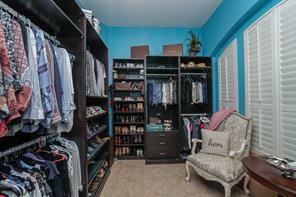 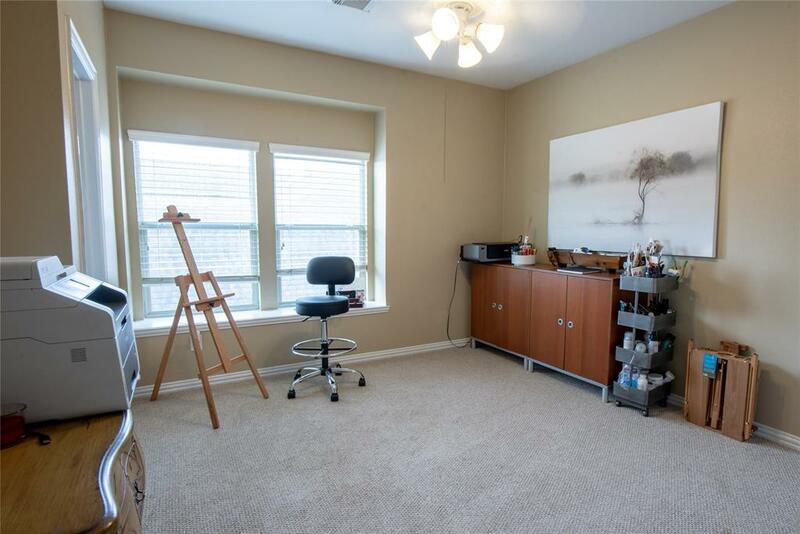 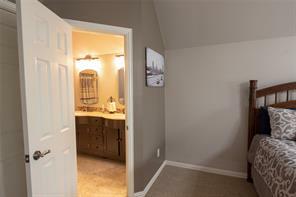 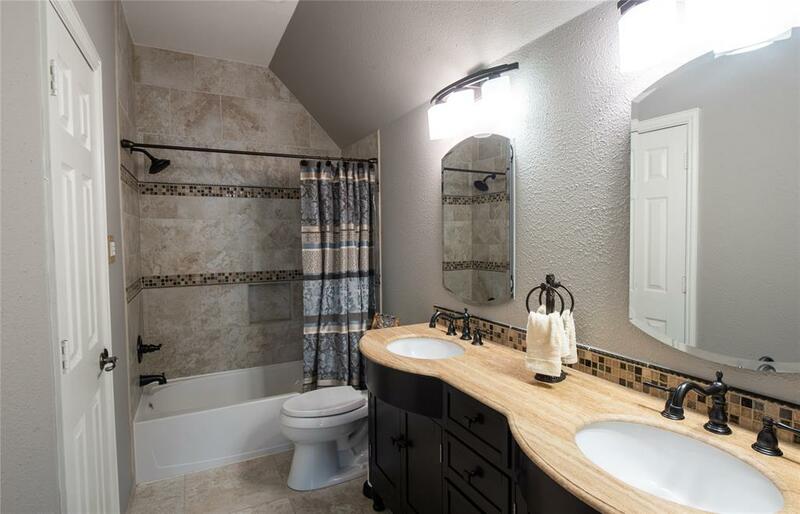 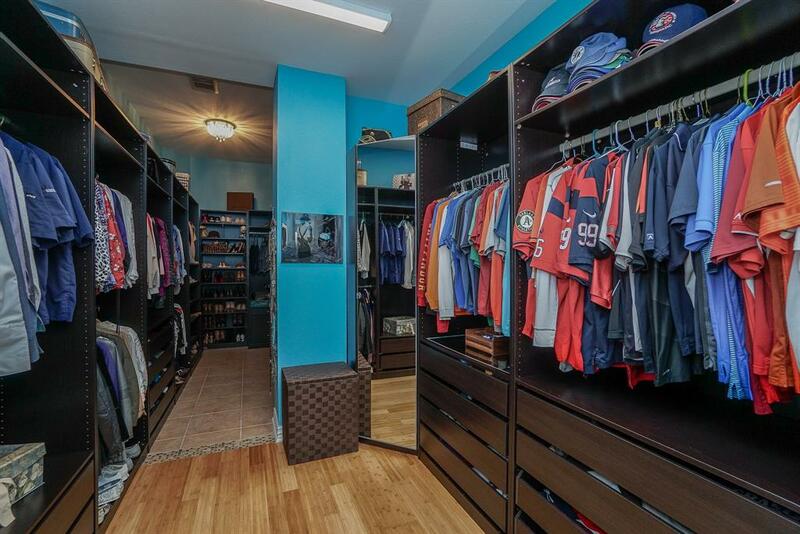 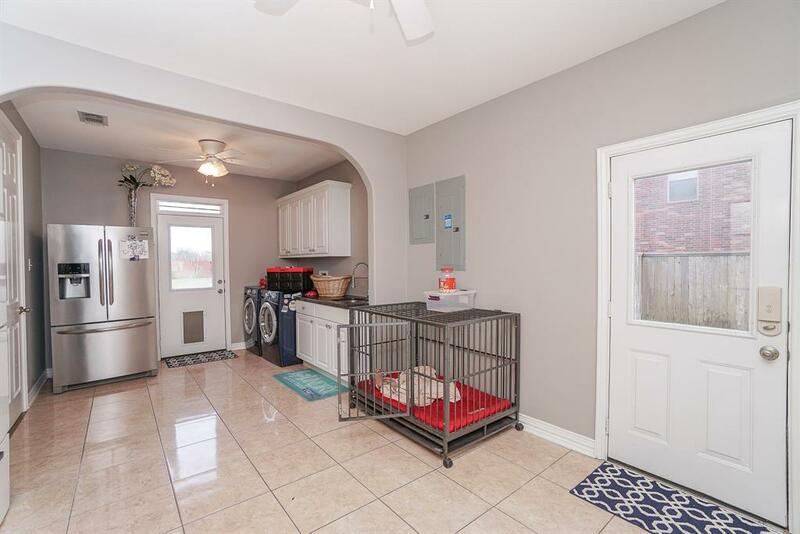 Laundry room with HUGE bonus room that may be used as Mud room that leads to 3 car garage. 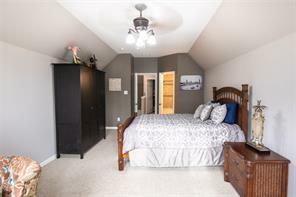 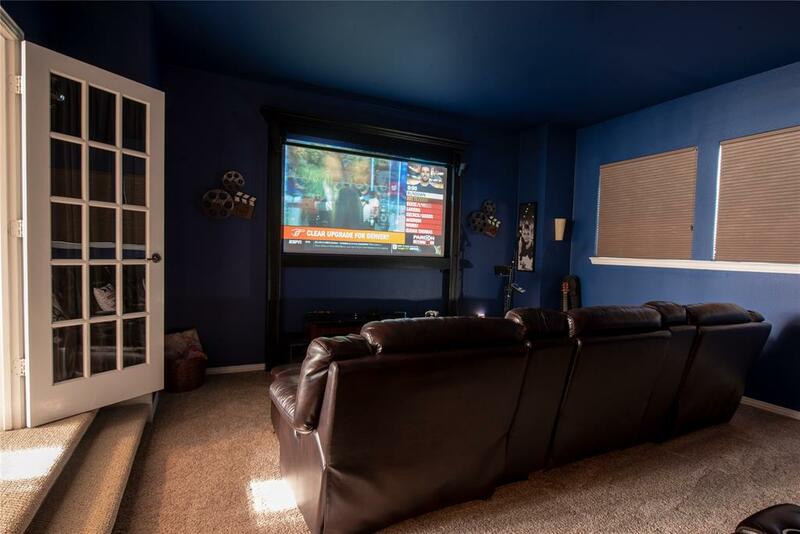 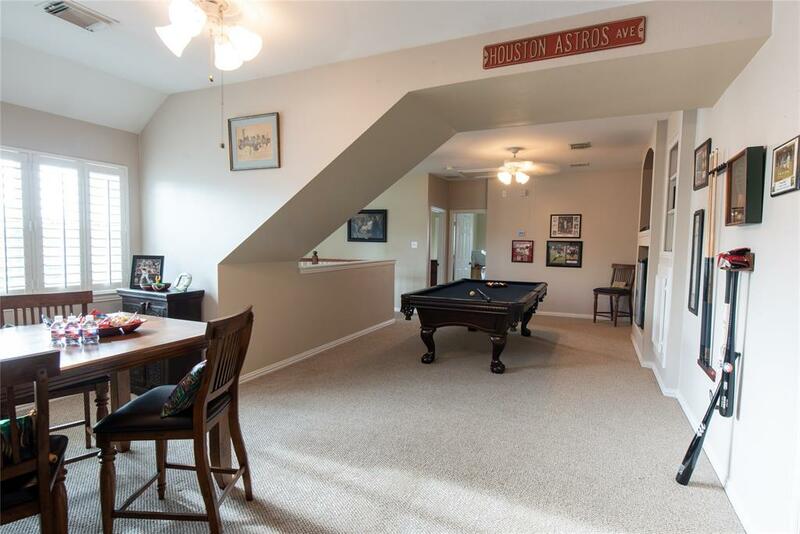 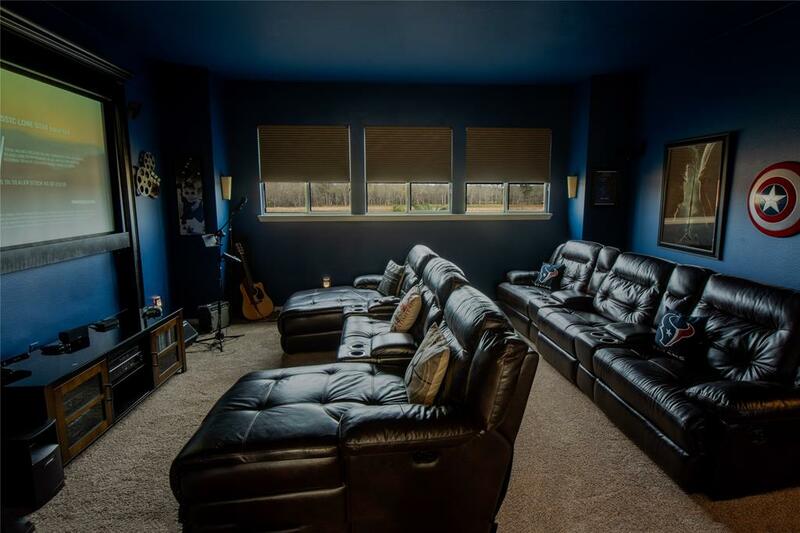 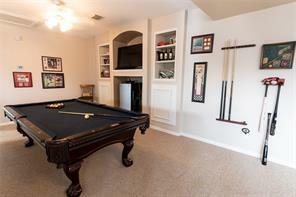 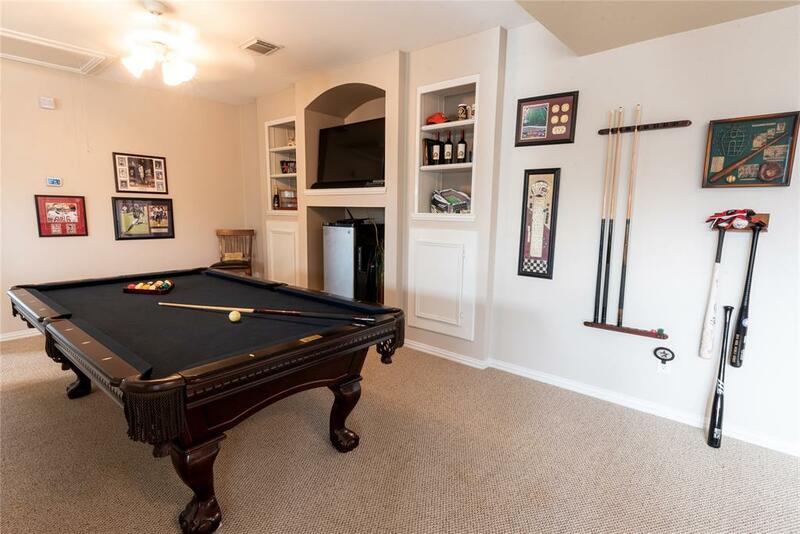 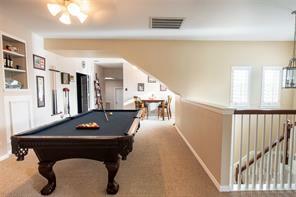 Game room upstairs w/built-ins & media room with French doors. 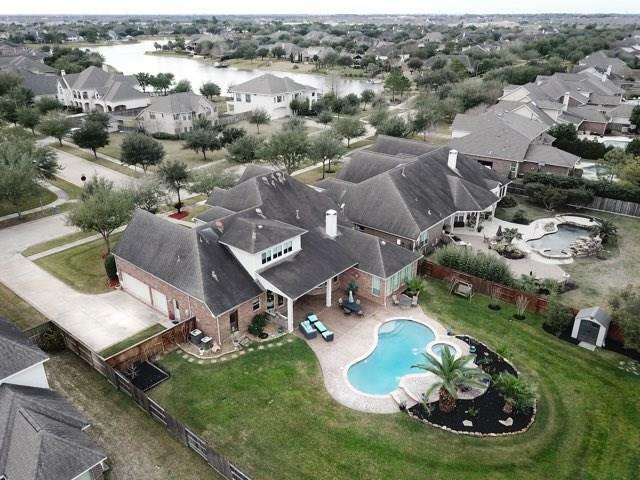 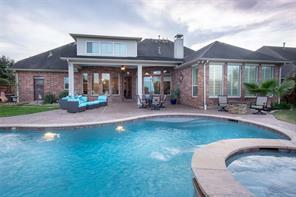 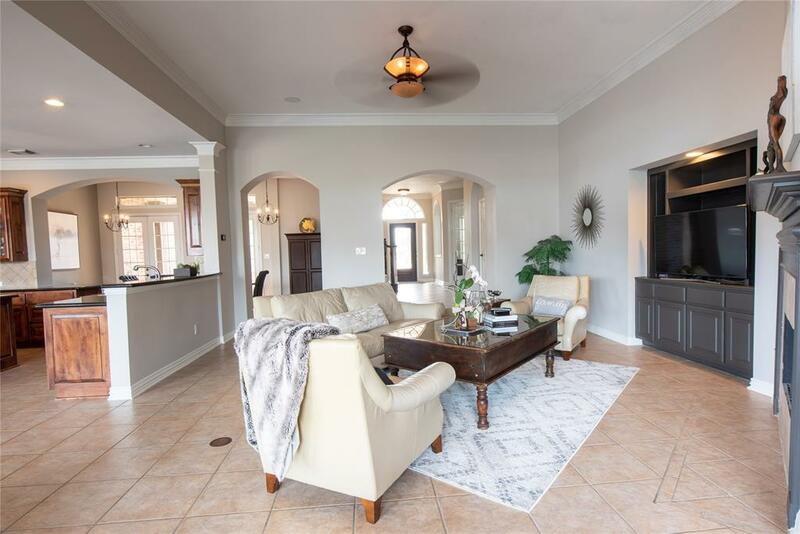 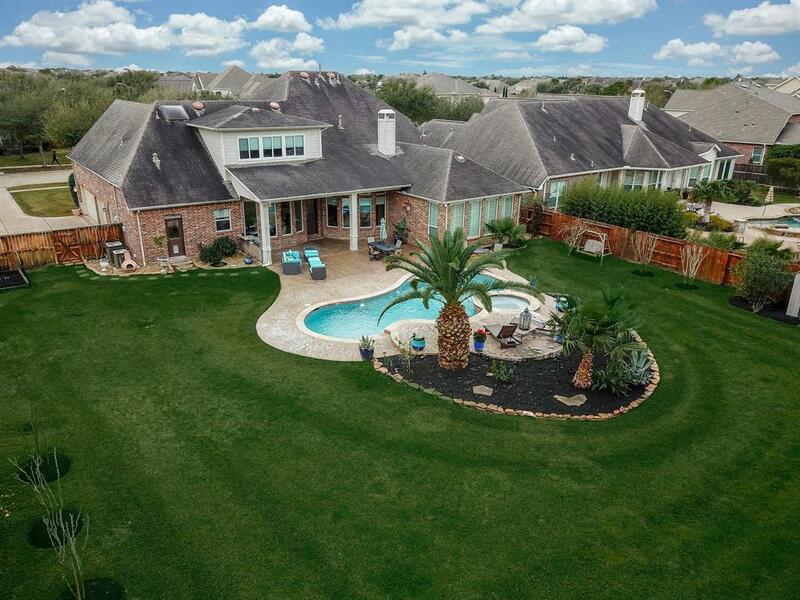 Backyard Oasis with a pool, spa, fire pit, covered patio, extended patio, lush landscaping, and vast outdoor space for your family, friends and pets.